Boulder and Denver drivers appreciate the fact that the 2016 Honda CR-V is available with five available trim levels and pricing options. After all, a family vehicle like a crossover needs to be able to suit itself to a variety of needs and wants, so the CR-V can be had with anything from everything you need to get from A to B with luxurious fittings and state-of-the-art technology. LX: Starting at $23,745* ($25,045* with AWD), the LX offers drivers a surprisingly full selection of premium features, including a multi-angle rearview camera with guidelines for convenience, Bluetooth HandsFreeLink system and SMS text function to keep you connected, and an easy fold-down 60/40-split folding rear row to allow plenty of interior versatility. SE: Starting at $24,545* ($25,845* with AWD), the SE (Special Edition) has just been released as a new trim level for the 2016 Honda CR-V. It provides Boulder and Denver drivers with a number of upgrades over the entry-level LX model, including rear privacy glass, 17-inch alloy wheels, and a security system that will shut down the vehicle if senses it is being driven away without the correct set of keys. EX: Starting at $25,995* ($27,295* with AWD), the EX model is perfect for drivers who would like to enhance their level of onboard technology. The multi-angle rearview camera now boasts dynamic guidelines, and you’ll be able to check out vehicle information and infotainment on a 7-inch touchscreen. Comfort is also enhanced: the EX comes with heated front seats and a 10-way power driver’s seat with power lumbar support. EX-L: Starting at $28,445* ($29,745* with AWD), the EX-L is all about first-rate luxury, and it takes that guiding principle to heart. You and your passengers will be able to sink into rich, supple leather seats and take advantage of a dual-zone automatic climate control system. There’s even a leather-wrapped steering wheel to sooth your hands after a long day and an automatic dimming rearview mirror to help keep pesky glare from reflecting into your eyes. Touring: Starting at $32,095* ($33,395* with AWD), the Touring trim level is top-of-the-line in every possible way. The Honda Sensing Suite of driver-assistance features comes as standard to provide technologies such as adaptive cruise control and lane keep assist, while a power tailgate makes for quick and easy loading and unloading. Even the cutting-edge Honda satellite-linked navigation system comes fitted as standard with the Touring trim. Ultimately, it all comes down to what you want and how the 2016 Honda CR-V can be of assistance. 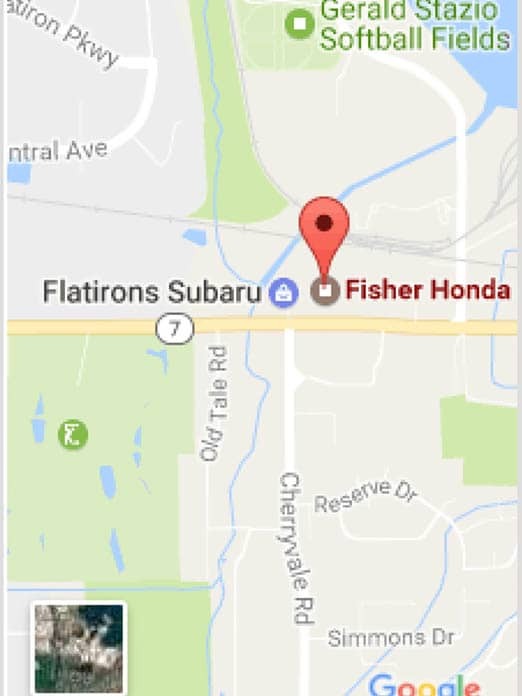 If you’d like to find out more about each of the 2016 Honda CR-V trim levels, or about the vehicle in general, just pick up the phone and contact Fisher Honda in Boulder, CO. We proudly serve drivers throughout the greater Denver area, and we hope to see you soon! * MSRP excluding tax, license, registration, $900.00 destination charge and options. Dealer prices may vary.